In South Africa the conventional purchase and sale of immovable property is administered by registered estate agents who analyse the property market, accompany clients to property sites, discuss and advise on conditions of sale and prepare agreements of purchase and sale between buyers and sellers. The process is further overseen by a conveyancer, who ensures that the necessary legal formalities are complied with and essentially ensures that transfer and registration take place. Although it is legal for owners and prospective purchasers to buy and sell immovable property privately, it has become apparent that the Cape Flats and township areas within the Western Cape have been plagued by the presence of ordinary community members, who undertake to facilitate the process without the necessary mandate, or complying with the relevant legal framework. These individuals are often referred to as “agents” but are neither legal practitioners nor registered estate agents. In essence, their sole aim is to benefit from a healthy commission on conclusion of an unlawful transaction. Common practice amongst these individuals entails the facilitation of a purchase and sale of immovable property by way of an affidavit and cash transaction. In the event that either the buyer or the seller has a legal dispute after the agreement has been concluded, it places them in a precarious position, as they find they have limited legal recourse available to them. At this stage, the “agent” has already received his or her compensation and is nowhere to be found. 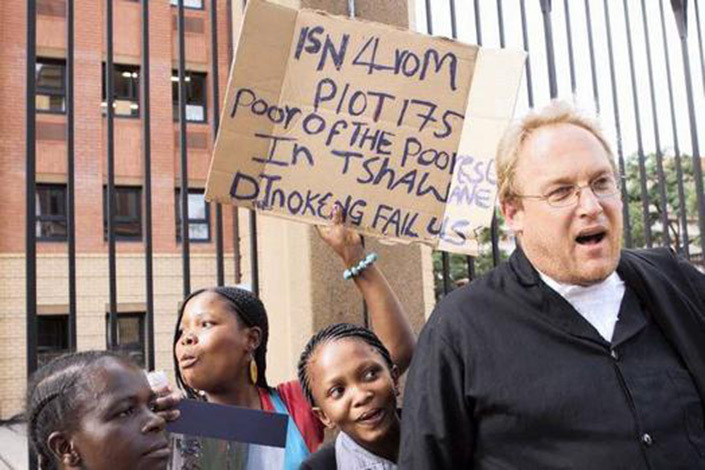 The Prevention of Illegal Eviction and Unlawful Occupation of Land Act 19 of 1998 (PIE Act) safeguards South Africans from being unlawfully evicted from the land or property they occupy. It further sets out the procedure for the eviction of unlawful occupiers of land and avers that no person may be arbitrarily evicted from their home. Attorneys are therefore often appointed to ensure that eviction proceedings comply with the provisions of the Act. However, in light of consultations held with affected parties, it is evident that these “agents” blatantly disregard the provisions of the Act. In situations where the seller’s property is occupied by tenants or backyard dwellers, the “agent” often acts as an enforcer and proceeds to eject these occupiers forcefully and illegally. It has become clear that a number of underprivileged and marginalised individuals are completely misguided and have little to no knowledge regarding the legalities related to the purchase and sale of immovable property, as well as the eviction process, and they become easy targets for these so-called “agents”. In an attempt to combat this scourge, ProBono.Org Cape Town has embarked on a mission to host several community legal education workshops in affected areas. The aim of these is to empower and enlighten marginalised individuals with basic knowledge in respect of the acquisition and disposal of immovable property and the legal implications in respect thereof. These workshops also focus on and break down the PIE Act, with the aim of educating community members in respect of their rights and responsibilities relating to eviction disputes. The conversation was the first of several planned to start a conversation about the importance of pro bono work and the ethics and values needed to reshape the profession to be more public-spirited. The conversation was started by Sahm Venter, senior researcher at the NMF, who emphasised the importance of pro bono work during apartheid and the work of the Independent Defence and Aid Fund (IDAF) established by Canon John Collins of St Paul’s Cathedral to defend political activists. Former Constitutional Court Judge Albie Sachs spoke about how Madiba the lawyer was a commanding presence in a courtroom. He stressed the importance of not seeing Mandela the lawyer as a conflict with Mandela the revolutionary. He used the law to make a living and also to fight for his people in court. His legal experience also helped him when it came to drafting the Constitution. Lwando Xaso, senior associate at ENSafrica, found Mandela’s speech about being “a black man in a white man’s court” relevant today for young black lawyers in law firms where they are expected to dress and act according to the firm’s culture and thereby feel they are losing their own culture and feel alienated in their workplaces. It is sad that even as transformation is on people’s lips and in their policies, they do not make an effort to get to know their black lawyers. Several audience members, who were mainly young black lawyers, echoed this feeling. One said that she had found that in her community people did not know about the Constitution and she felt she could give back by educating them about the law. ProBono.Org National Director, Michelle Odayan, who facilitated the dialogue, said that legal practitioners who give their time and experience to provide access to justice should not be regarded as poor and inferior. We are planning to hold further dialogue sessions on topical issues in 2019 as part of our young lawyer development programme. Defamation via social media has been the bone of contention of several hearings before the Commission for Conciliation, Mediation and Arbitration (CCMA), particularly where employees share information regarding their employers that is disgraceful or detrimental to their employers’ reputation. On 6 November 2018, ProBono.Org Cape Town was approached by a children’s hospice for assistance with a labour dispute relating to the conduct of an employee, where an allegation was made via a WhatsApp text message to one of the employer’s board members alleging maladministration, financial mismanagement and a lack of transparency by the CEO of the nonprofit organisation. The employee was subsequently charged with defamation of character, in that he intentionally conveyed false information to the board member, and was further charged with bringing the organisation’s name into disrepute, in that he claimed that the CEO had misrepresented the organisation’s financial position to the Department of Social Development. In this regard, a disciplinary hearing ought to have been held on 22 August 2018, where Mr. M was appointed as an independent chairperson, but he was unfortunately involved in a serious accident and was no longer able to oversee such disciplinary process. The children’s hospice, like many NGOs in South Africa, is currently faced with an unfortunate funding crisis, and has limited financial and human resources available that would have enabled a fair and thorough disciplinary hearing. ProBono.Org Cape Town proceeded to brief counsel to act as an independent chairperson and to facilitate the disciplinary hearing, which was held on 23 November 2018. The chairperson noted that he could not find the employee guilty on both allegations as it would amount to a duplication of “convictions”. The chairperson could see no evidence showing that the employee had brought the employer into disrepute. The allegation made was via a private WhatsApp text message to one of the employer’s board members. There was therefore no evidence that the employee’s allegation was publicised in any way, or that it affected the employer’s reputation. The question remained whether the employee was guilty of defamation of character in that he ‘intentionally gave false information that humiliated and belittled the CEO, which made her look foolish and ridiculous and which rendered her less worthy of respect by the board members. The chairperson found the employee guilty of this allegation, in that he conveyed information to one of the employer’s board members which was false. If the employee had made the proper inquiries, he would have discovered that there was no inflation of figures. The CEO confirmed (and it was not contested) that the Department was fully aware of how the employer arrived at its figures and accepted that the employer was acting appropriately. The chairperson further noted that he did not accept that the employee made the allegation in order to bring an impropriety to the attention of the board. If that was so, the employee would have sent a message detailing that concern. However, the allegation relating to inflating figures was a throw-away (yet deeply insulting) remark. Moreover, the chairperson considered whether the employee’s allegation amounted to a protected disclosure for the purposes of the Protected Disclosures Act and found that it did not. Firstly, the allegation was not a ‘disclosure’ within the definition of the Act, given that it did not relate to a serious impropriety within the meaning set out in Malan v Johannesburg Philharmonic Orchestra (JA 61/11)  ZALAC 24 (12 September 2013). The allegation was one relating to figures which were readily available and known by the board. They were also known by the Department which accepted them and the manner in which they were calculated. Secondly, the employee’s allegation was made to the employer and, in terms of the Protected Disclosures Act, had to be made in good faith, which the chairperson did not accept was the case under the circumstances. The employee’s conduct was therefore unacceptable, and the appropriate sanction imposed was a written warning suspended for 6 months on condition that the employee was not found guilty of similar misconduct within the stipulated period. Employees now have several platforms where they can vent their frustration and raise concerns regarding their employers. However, employees ought to utilise such platforms responsibly or face severe consequences, as illustrated in this case. While freedom of speech and expression, together with the right to privacy, affords us great power, the risk of publicly defaming the character of another has increased exponentially with the constant evolution of the social media landscape. Consequently, we have to remain cognisant of the fact that with such great power comes great responsibility. THE legal fraternity is mourning the death of human rights lawyer Rudolph Jansen, who fought against injustice on behalf of the poor and marginalised for more than three decades, including with respect to the abolition of the death penalty, prison reform and land reform. He was a long-standing member and former national director of Lawyers for Human Rights. Jansen, who leaves his wife Mariana, and two sons Rudolph and Gustav, died on Saturday in Limpopo, where he was consulting with the Moletele Land Claim Community. He was 53 years old. Jansen was born on New Year’s Day in 1964. He grew up in Pretoria, where he lived throughout his life. He completed his law studies at the University of Pretoria, and as a young advocate with the Pretoria Bar, quickly turned his attention to combating issues of inequality and injustice that were a hallmark of the apartheid state. The appalling and unnecessary loss of life resulting from the Life Esidimeni tragedy has cast a spotlight on the many inefficiencies within our health system. It was however the lack of governance and legal advice in the NGOs involved that highlights the need for pro bono assistance for NGOs. Many of the organisations to which the Life Esidimeni patients were transferred were not properly registered to provide the services that they were contracted to provide and many opted to proceed in the hope that the funding received would be able to cover the loose ends. This was sadly not the case, and so began a downhill tumble of inexperience coupled with inadequate resources and support that disastrously led to the loss of many lives. As with all tragedies, there are lessons that need to be learnt and actions put in place to ensure that they are not repeated. It is important that pro bono assistance for NGOs is provided to assist them with proper governance and contractual advice to avoid being drawn into dangerous spaces, in the hope of getting funding. services through volunteer attorneys to non-governmental, non-profit, community-based, public benefit, corporate or unincorporated bodies, trusts, foundations or charities working in the public interest or working to secure or protect human rights, which are mainly funded by donations. Many NPOs are in desperate need of health checks to determine the organisation’s legal standing, status and ability to enter into certain contracts. We believe that, had some of the NGOs that received Life Esidimeni patients had access to skilled pro bono attorneys, they would have received the appropriate advice on their ability and legal standing to deliver the contracted services and would have been better positioned to respond to their situations appropriately. Pro bono services include advice, opinions and the appointment of an attorney and/or advocate where payment of legal fees would deplete the organisation’s economic resources and adversely affect their ability to carry out their charitable or public interest work. We are therefore calling on all legal professionals to contribute their knowledge and expertise in a practical and impactful manner. Each one of us has a duty to ensure that the law and access to the law is utilised for the greater good of our society and to protect the most vulnerable. Pro bono publico. I recently attended the Pro Bono Institute (PBI) annual conference in Washington DC. This conference, convened every year by the PBI, a United States based NGO that promotes pro bono, is a gathering of NGOs, law firms, pro bono lawyers, justice officials and bar associations (similar to our law societies and bar councils). 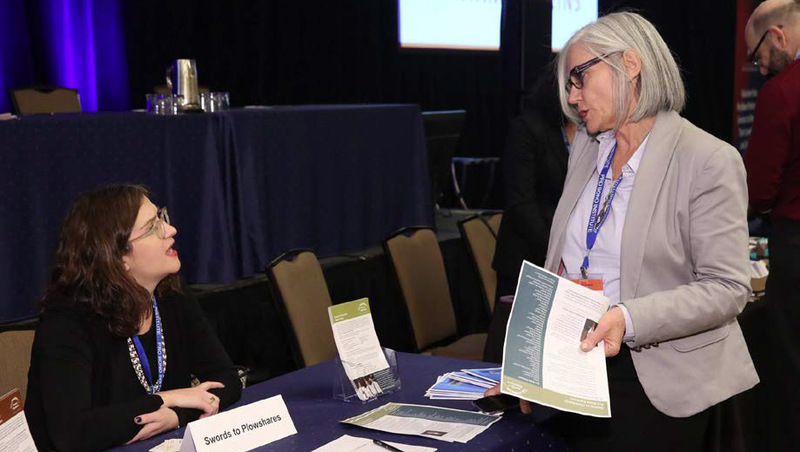 At these annual meetings, with as many as 300 participants, people get together to share ideas about pro bono. The session was run as a debate looking at whether or not the state should mandate pro bono for lawyers. The proponent of state mandatory pro bono, Judge Lippman, said that since there has been an attack on state funding in the United States and because state funding meets less than half the need there is in the country, a strong case for mandatory pro bono is created. He believes that it is a privilege to be able to practise law and the role of the regulator should be to ensure that lawyers are meeting their obligations. Mandatory pro bono places a huge burden on legal NGOs who have to manage pro bono lawyers. Pro bono lawyers need help, mentoring and training. One has to be careful of incompetent work which means that you have to fund legal NGOs to manage and train pro bono lawyers. You don’t want clients to be served by lawyers who have been compelled to serve them and lawyers that aren’t willingly undertaking their obligation. The clients are negatively affected. Practically – the definition of pro bono is frequently expanded to things like serving on bar councils and CSR. Making it mandatory allows people to fulfill their obligations in ways other than serving low income people. He added that pro bono should be done because it is in the fundamental DNA of being a lawyer. It is part of the culture of being a legal practitioner, the raison d’etre of providing legal services, so it shouldn’t have to be mandatory. His points are valid and raise a critical issue. If we share his view that doing pro bono is an essential element of being a lawyer, and the hallmark of the profession, why are we finding it so difficult to find enough pro bono attorneys and advocates to serve our clients, and the clients of other NGOs – the poor and vulnerable? Why are the same lawyers doing it again and again, while the vast majority show no interest or commitment to pro bono? Law society rules are putting some pressure on the latter group to do pro bono, which indicates that here in South Africa, at least for the time being, mandatory pro bono may be necessary. But isn’t the ideal that it becomes a natural and routine part of every legal practitioner’s professional life, internalised as Sandman says, into their DNA? When Mr A contacted our offices he was convinced that he had a claim against his employer for the injuries he sustained and, further, that he had a case of unfair labour practice against his employer. Mr A was employed by a company named B as a general cleaner and caretaker. 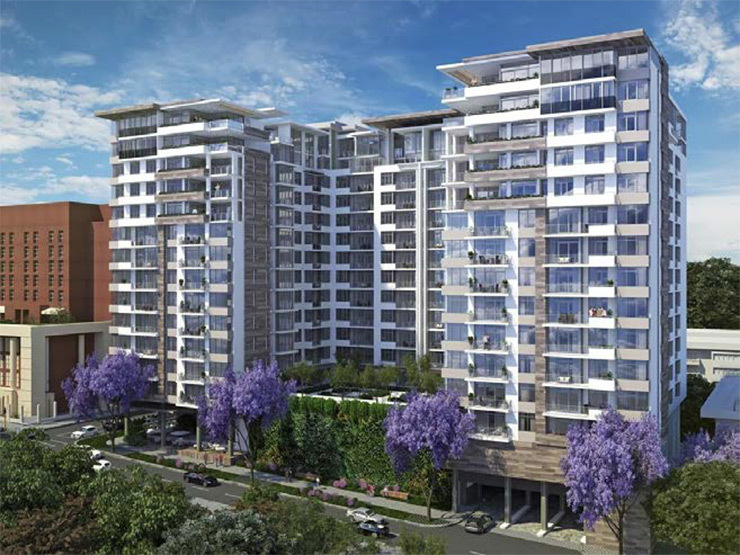 B’s main business was to maintain and service a block of flats at an upmarket suburb in Johannesburg. On or about July 2015 Mr C asked Mr A to clean the windows of his flat. Upon his arrival on the day, Mr C gave Mr A a stepladder to use as the flat was on the first floor. While Mr A was on the ladder, the ladder broke and Mr A fell to the ground. He was taken to the nearest hospital where it was confirmed that he had broken his spine and would be confined to a wheelchair for the rest of his life. Mr A was very disappointed that his employer refused to compensate him in any way or to report and lodge a claim on his behalf with the Labour Department under the Compensation for Occupational Injuries and Diseases Act (COIDA). Mr A came to consult with us believing he had a case of ‘vicarious liability’ against B. We explained to Mr A that in a workplace context ‘vicarious liability’ refers to a situation where an employer can be liable for the acts or omissions of its employees, provided it can be shown that there is an employment contract in existence; that the action took place in the course of their employment and that the employee’s actions caused harm to another. However, in this instance the flat owner, Mr C, gave instructions in his personal capacity and, most importantly, Mr A is not an employee of Mr C. It is evident that B cannot be held liable for the actions of Mr A in terms of vicarious liability. We had to discuss and explore other possible avenues that Mr A could use in order to claim for the injuries. We looked at a claim against COIDA in that COIDA provides for compensation in the case of disablement caused by occupational injuries sustained or diseases contracted by employees in the course of their employment, or death resulting from such injuries or disease; and provides for matters connected therewith. COIDA basically enables employees covered by the Act to make claims against the fund. In this case, the employer, B, rejected Mr A’s case rightfully as Mr A was not carrying out functions or work under the instruction of B in this case. We advised Mr A that he could explore a case against the owner of the flat, Mr C, for his injuries, but even so there were other difficulties that he could face with regard to pursuing such a case. The fact that Mr C gave Mr A his ladder to use does not automatically make him liable for Mr A’s injuries. Should Mr A want to pursue the case, the common law test of a reasonable man may be applied in this case in order to establish whether using the said ladder and or placing it in the manner that he did was dangerous and could lead to him getting injured. In this case the court may find that he had to some degree contributed to his injuries and that he should have inspected the ladder for his own safety as well. With all the above said, client was advised that he could proceed with the case against Mr C but he should be aware of the challenges he will face in proving his claim. The lack of evidence will not make things any easier for him as there is no information about the ladder, and no photographs were taken in order to be able to assess the condition of the ladder. Although this is a very sad situation for a client who came with very high hopes that he had a good case against B, we had to tell him that legally he had no claim. Even though the injury occurred at a location where he was employed, there is no liability by the employer for his injuries in this instance.